Every big dream requires a leap of faith. This is the story of a Kiwi elf named Yvette (her friends call her Yve) who lives on Stewart Island—the third largest island in New Zealand. And this little elf has a very big dream… The great wish of her heart, of her mind, of her soul Was to join St. Nick’s team at the frosty North Pole. But how does an elfish lass follow her dream? With a smoldering passion, and a will full of steam. 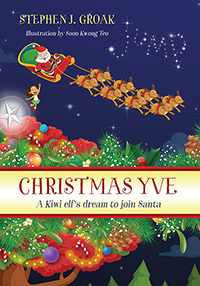 New Zealand is a long, long way from Santa and the North Pole, but Yve is determined to join St. Nick and his eight reindeer…and this Christmas Eve, her wish just might come true! Stephen J. Groak is originally from the South, the Deep South—New Zealand. He grew up in West Auckland and currently lives in Los Angeles County with his wife, four daughters, and a menagerie of other critters. 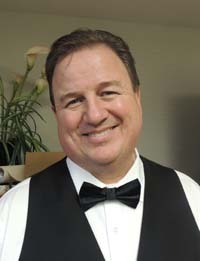 Stephen received his bachelor’s degree in English from California State University, Los Angeles, and a master’s degree in Creative Writing from Southern New Hampshire University.